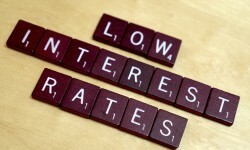 Banks' interest rate spread is one of the many banking jargons that we often come across. In simple words, interest rate spread is the difference between the interest rate that a bank charges on its loans to private customers and the interest rate that it pays its customers on their deposits. A bank's interest rate spread on any loan is calculated on the basis of a number of factors, such as tenure risk, credit loss, profit requirement, operating cost, demand in the market, and specific risk assigned to an individual customer. As a home buyer, it is important for you to know the interest rate spread involved in the home loan you take from your bank. The interest rate on your loan has two components – Marginal Cost of Funds-based Lending Rate, or MCLR, and the interest rate spread. Until March 31, 2016, the first component was base rate, or the benchmark rate below which a bank would not lend its customers. However, in its first bi-monthly review of its monetary policy on April 5, 2016, the Reserve Bank of India replaced the base rate with MCLR. Now, on all loans given since April 1, 2016, banks charge an interest rate that is a combination of MCLR and spread. MCLR is based on the bank's cost of raising incremental funds and involves five or more rates depending on periodicity – such as overnight, one-month, three-month, six-month, yearly, and so on. Spread, meanwhile, is the margin for profit that the bank wants to price into its loan product. For example, if you take a home loan of Rs 10 lakh for 20 years at the rate of 10.5 per cent, and the MCLR at a particular point of time is 8.5 per cent, the interest rate spread on the loan is two per cent. Later, if the bank revises its MCLR to 8.25 per cent but the interest rate on your loan remains unchanged at 10.5 per cent, it implies that the bank has increased its profit margin by tweaking its spread to 2.25 per cent. Should The RBI Cut The Repo Rate? 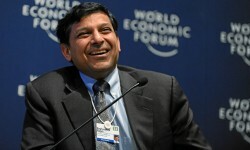 RBI Gov Might Lose Veto Over Repo Rate. More Stable Property Market For Home Buyers Ahead?